In the first of a series titled Soul Talks, hosted by bestselling author Rasha Zeidan Monday at the Golden Theatre at Dandy Mall, readers gathered to listen to some of the life lessons that inspired her first published book Roh, (Soul, 2016). Sitting at ease among an intimate audience, she raised a question seldom put this way: "Why ask God to help you endure a situation you cannot tolerate, instead of asking him for the guidance to change it?" Roh, a bestseller for almost three years in a row, takes a similar tack, embarking on a journey of self awareness and spiritual enlightenment. The story unfolds around four main characters with highly symbolic names: Roh (soul), Nour (light), Haya (life), and Baraa (purity). It is narrated by a fifth, and the author's namesake: Rasha. Written in a simplistic style and liberated from traditional structure, the story waltzes between narrative and slang dialogue, pausing for gems of Sufi poetry. 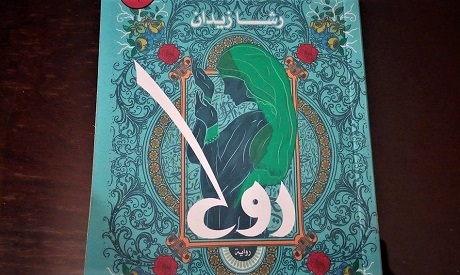 The author's use of modern vocabulary to describe, with grace, eternal Sufi revelations, was appreciated by her growing audience. 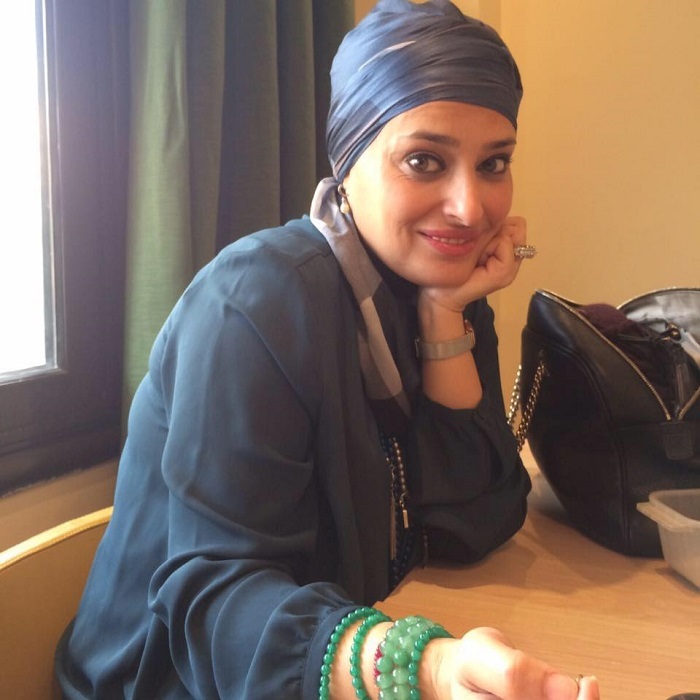 "To some readers my book was their first Arabic book to read," she told Ahram Online. Born to an average Egyptian family, Zeidan grew up with literature and the arts. Her father, a writer, had a significant impact. "We'd attend theatrical plays much of the time, discuss art and literary works constantly, which really developed our sense of beauty and art without imposing any preconceived ideas," Zeidan remembers. Her love for Sufism, however, flourished later in life, through her own journey of self discovery. As a columnist she used to write sarcastic political pieces that soon drifted into reflections on spirituality in a series titled An Interview With My Friend the Thinker: Dr. Mostafa Mahmoud. Roh delves into the journey toward enlightenment, but refrains from sharing the findings. Storyteller Rasha is a young woman who meets a sufi singer Baraa, his best friend Roh and her sufi guide Nour, along with his wife Haya. Through simple dialogue, the novel explores the questions and fears that face regular people who deviate from the mainstream to seek spiritual growth. The boundaries of Zeidan's story are a rare find among Sufi literature, for it neither preaches nor shares the outcome of the journey. It simply reflects on the quiet depth of the journey toward knowledge -- a unique published experience. "I wrote in slang Arabic and the simplest form of classical Arabic, to describe the journey, not the findings, because most Sufi books never highlight the journey of the regular murid (seeker) which involves fear and reluctance. They describe the end of the path in very sophisticated language, but not the beginning, when the seeker first feels that passion in his heart," said Zeidan. The novel explores a spiritual love triangle between Roh and her sufi guide, which takes a turn when she declares that love in a poetry recitation. In a parallel plot, Rasha experiences the loss of her own soul guide, or light, at the same moment she discovers who that person is and how close they are to her. Readers recall here the relationship between the great Sufi poet Galal El Din El Rumi and his guiding star Shams (Sun) El-Din El Tabrizi. "I believe each of us is Rumi and Shams at the same time, where you learn from one person and inspire another," Zeidan concluded. Zeidan's next book is set to be released after the holy month of Ramadan. Lovers of Rumi will find much of that love reflected in her new novel.